A horror film is governed by its own norms and patterns. A haunted house, a ghost possessing someone’s body, seeking revenge, a heart-wrenching flashback that justifies the ghost act – So if you think these are the unchanging formulae of a ‘Horror’ genre, then you’re perceptions and myth are going to be proven different. Welcome to the new face of horror through Caarthick Raju’s upcoming bi-lingual Tamil, Telugu film ‘Kannaadi’ starring Sundeep Kishan and Anya Singh in lead roles, which will bring you a newfangled dimension of this genre. When in anguish or felt cheated, there’s a common way of addressing the tormentor, where we say, “I see your real other face”. But what happens when the individual themselves see their ‘other face’. That’s quite unimaginable and horripilating isn’t? The film will be based on this unique line, where audience will face a spine-shuddering experience in different lights. Sundeep Kishan has been proving to be a promising actor, especially after the release of ‘Maanagaram’ and ‘Maayavan’, and is immensely popular in Telugu cinema as well delivering several hits. His fan base has been gradually expanding due to his natural performance. Anya Singh hailing from Bollywood makes her debut in Tamil / Telugu cinema through this bi-lingual movie. She holds a prominent and prestigious value for being introduced by Yash Raj Films(YRF) in Hindi, which has introduced some of the beautiful and top talented actresses like Anushka Sharma, Parineeti Chopra and many others. YRF’s team was of immense praise for the character offered to Anya Singh and they supported her casting in this film. Others in the cast includes Anandraj, Karunakaran, Poornima Bhagyaraj, Murali Sharma, Pragathi and with Vennela Kishore, Posani Krishna Murali, Rahul Ramakrishna in the Telugu version. 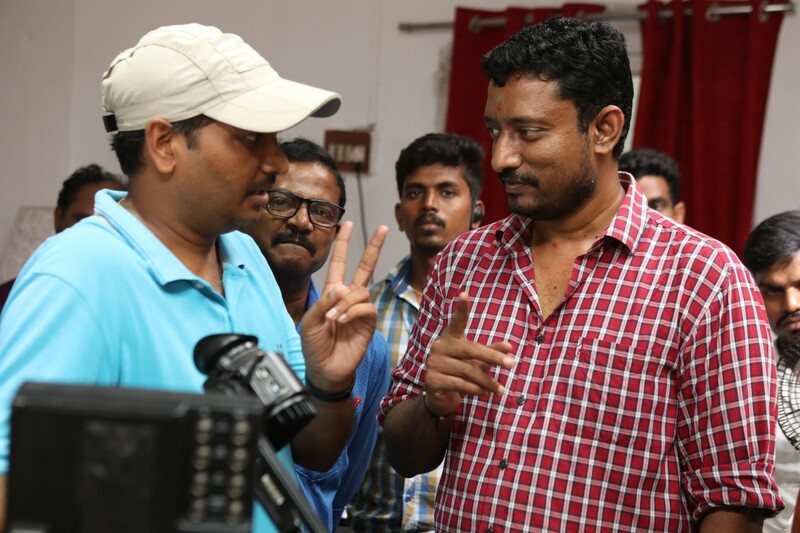 SS Thaman is composing music for this film, which has cinematography handled by PK Varma with KL Praveen on editing, Videsh on art direction, Stuner Sam is choreographing the action sequences with Sherif as dance choreographer, while Sampath Alwar being the sound designer and Kirubakaran Ramasamy as the executive producer. Viji Subramanian of V Studios and Shanthi Srinivasa Guru of Sri Saravana Bhava Films are jointly producing this film. V Studios had recently produced ‘Madura Veeran’ and are producing the upcoming film ‘Aadai’ starring Amala Paul in lead role that recently created a sensation with the first look.